The teams are off to the races at Wetherby Racecourse in Yorkshire. Experts Phil Serrell and David Harper are on hand to guide them through to auction. The teams are off to the races as Bargain Hunt heads for Wetherby Racecourse in Yorkshire for a special hour-long version of the programme. Experts Phil Serrell and David Harper are on hand to guide two teams of reds and two teams of blues through the antiques fair and then off to auction. 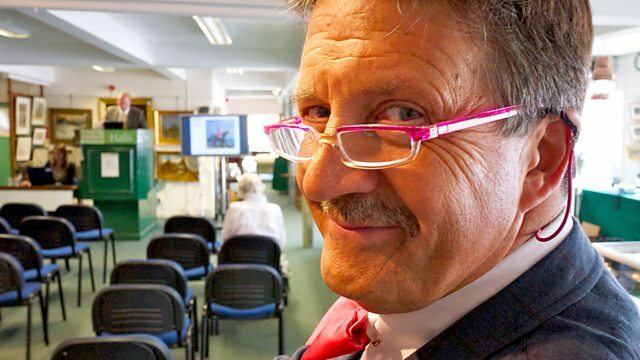 Presenter Tim Wonnacott pays a visit to Harewood House.